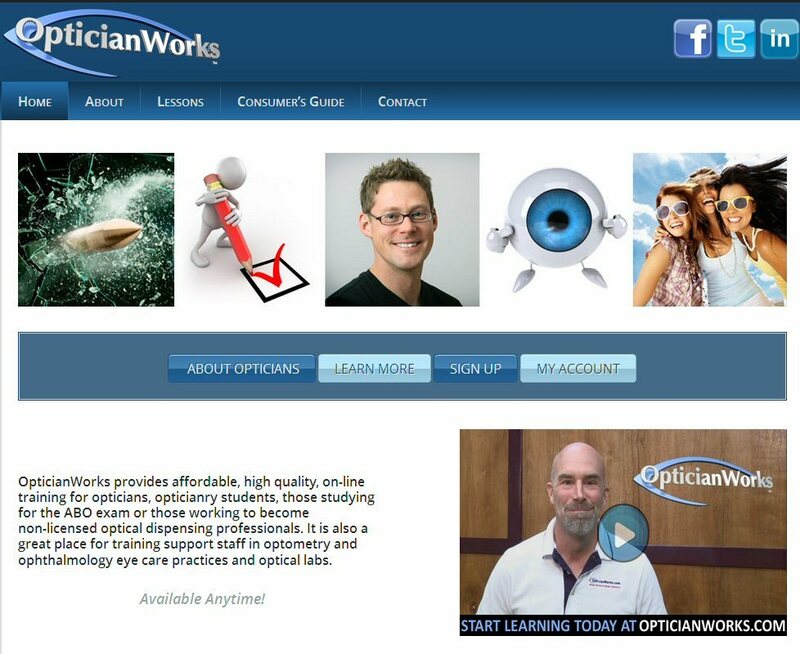 OpticianWorks provides affordable high quality on-line information for opticians, opticians in training, those studying for the ABO exam or those working to become non-licensed optical dispensing professionals. The site offers over nineteen individual lessons with in depth written descriptions, full color images, diagrams, and illustrations . At the end of each lesson you find a link to an online review test. The site also includes text and video training tools, in all areas of optical dispensing.